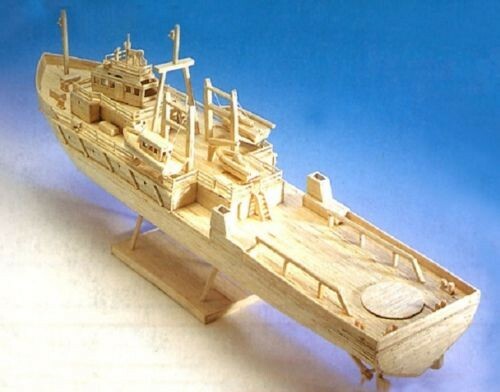 Hobby's Matchmodeller Oil Rig Support Vessel Kit contains: Printed Card Glue Matches Sandpaper Full Instructions. The sealed box indicates the finished model to be approximately 60cm (24") in length. Hobby's are pleased to bring you this Matchmodeller Kit which includes the products needed to complete the incredible model as illustrated. The enclosed step-by-step instructions will guide you through each stage of construction until you finally achieve the finished product.